Gretchen LaWall began her training here at Cary Ballet Conservatory and recently graduated with a B.F.A. from University of Arizona's School of Dance on scholarship. While at the University of Arizona, Gretchen worked with guest teachers and choreographers including Ann Reinking, Gary Chryst and Walter Kennedy, in addition to performing renowned works by George Balanchine, Bella Lewitzky and Charles Weidman. 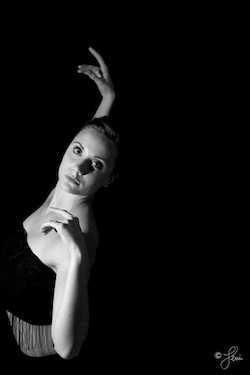 Gretchen joined the River North Dance Chicago Company this season.